I recently learned about the West Wireless Health Institute in San Diego, founded by philanthropists Gary and Mary West, and with vice-chair Eric Topol (author of recently released Creative Destruction of Medicine). This non-profit institute is focused on fostering innovation in the field of wireless health, specifically with an eye towards cost savings. I recommend browsing their website. I think they are going to be a major force for good and for future innovation in improving health care value using wireless technology. Integrated pump with handheld and software: Everything looks to be well-designed and will work seamlessly together. In fact, the handheld will also serve as a glucose monitor. Wireless and automated: Anything that is going to succeed is going to have to be wireless. Patients already spend enough time managing their diabetes. Asking them to do more work and take extra steps is unfair and not going to work. This system will record your glucose values and your insulin doses without you doing any extra work. That is a big deal! 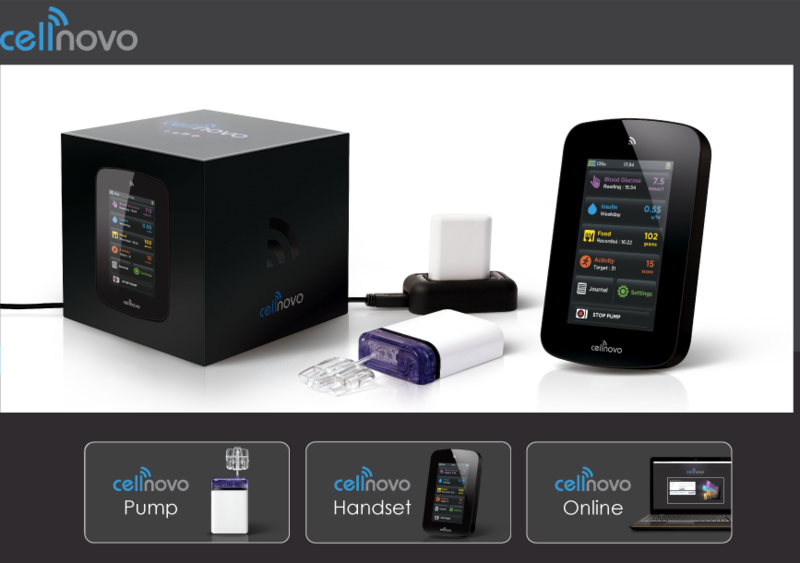 Closed system: Though the products designed by Cellnovo should all work well together, they represent yet another closed ecosystem in diabetes. If you like one device from one company and one device from another, sorry. Your data won’t be shared between them.